PARSIPPANY, N.J., June 01, 2017 (GLOBE NEWSWIRE) - GAF, North America’s largest roofing manufacturer, announced that Bay Valley Contractors completed a fully integrated residential solar panel installation – the first of its kind in America’s top solar state. The 5.1 kW DecoTech™ Solar Roofing System was installed on a home in Concord, California, yesterday, about 30 miles east of San Francisco. 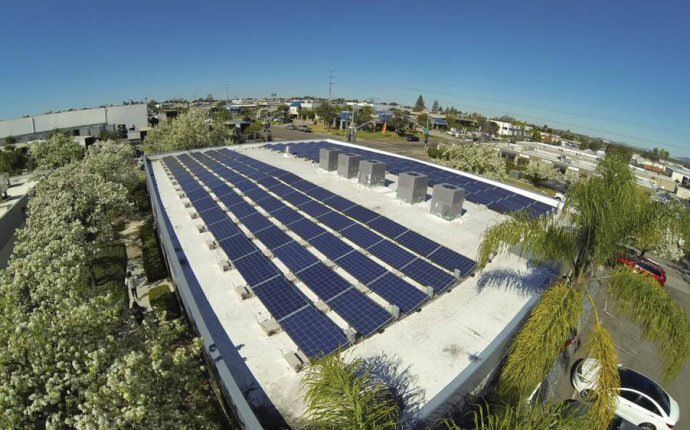 This location follows several successful installations on test sites throughout the U.S.
DecoTech™ Solar Roofing System is the sleek, low-profile, integrated solar roof system that GAF offers at an affordable price. The system provides a seamless aesthetic and is installed directly to the roof deck – unlike rack-mounted solar panel systems that sit above the roof and require multiple points of entry. Its unique fastening mechanism and flashed perimeter maintain the integrity of the roof and help protect against moisture and leaks. GAF has a 130-year history in roofing and decades of experience in solar, including several patents on solar roofing products, a Solar Elite Contractor™ certification program, and proprietary solar financing relationships that have given the company a unique perspective on the market. The DecoTech™ Solar Roofing System, which is available for purchase and installation across the U.S., is the latest product in the growing GAF solar portfolio. GAF has multiple DecoTech™ Solar Roofing System installations scheduled across the country throughout the coming weeks and continues to introduce its offerings to leading roofing and solar contractors.